So, you no longer want to keep your service offer bundled up in a straight jacket – fantastic! Choosing the right billing solution partner is an important step towards unlocking new revenue streams. We know how lengthy and complex the process can be. So to make things easier we’ve put together this step-by-step guide to assist you with the Request for Proposal (RFP) process for a billing solution. Having the right evaluation standards in place will help you review all proposals in a fair and consistent manner. It will help you choose a billing platform vendor that makes the most sense for your business. When assessing proposals that land on your desk, look for a billing solution provider that outperforms in the areas listed below. You can also download the interactive assessment here. Confusing invoices can leave customers pulling their hair out trying to decipher each item. A customized invoice can turn your billing system into a positive point of customer contact (building customer value). Important caveat: invoices must be understandable and line items easy to read. Go for a billing software system that understands this and has a good track record of not overcharging customers. Consider it preemptive customer service. Yes, the ball should be in their court. Give subscribers the tools to upgrade or downgrade subscriptions. Update payment information by themselves. Buy products and services at their convenience with usage based and subscription based billing options. If you’re the one doing the managing, you’re wasting valuable internal resources. Doctors know this, some spend over 25% of their revenue on billing! Not to mention that playing the middle man can have negative effects on customer satisfaction and increase customer churn. Avoid putting up administrative barriers to a complete service experience. Select a billing solution as agile as your service offering. Reduce your customer churn rates by aligning your pricing with customer value, an they'll know exactly what they’re receiving for their money. Vendors win too because they can set prices that accurately reflect the value of the products and services they offer. In both cases, the result is increased scale and higher customer satisfaction. The more usage customers get out of a service, the more value they gain - and the more they pay more for it. A billing software system that strikes the right balance between customer benefits and service costs leads to greater customer retention and decreases churn. Predictable, one-time costs are going the way of the typewriter. 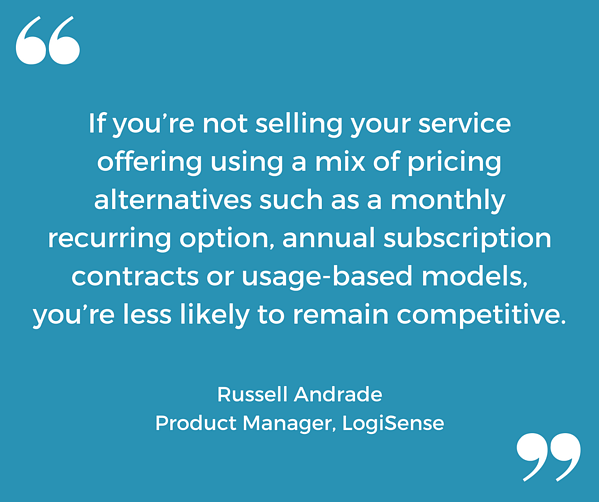 If you’re not selling your service offering using a mix of monthly recurring options, annual subscription contracts or usage-based models, you might lose out to your competition. All the more reason to seek a billing solution vendor that can support numerous pricing preferences that ebb and flow over time. In dynamic, fast-paced markets, customers increasingly favor flexible entry and exit. It helps organizations reduce the risk of being locked into pricey, outdated products. As a basic example, think of Netflix. Nothing locks you in, so users are inclined to sign up and stick around. Your billing solution should have the IoT know-how to provide fine-grained transaction models that appeal to your offering. With the right billing system, there’s no threat of revenue leakage from losing up-front purchases, because your users are incentived to remain loyal. Value is always aligned with cost, strengthening relationships and promoting recurring revenue. Need to Modernize Your Billing Software? Do you have a large product inventory and release new products on a regular basis? If so, your billing system should keep pace with all product categories changes and inventories. In the recurring universe, companies no longer box up their offering with the objective of selling it once. Now they sell their products in subscription boxes, with visits to subscription box sites up 3000% in a year. Choose a robust billing system has the technology to keep track of customer purchases, however exceptional each purchase item may be. If you’re like most service providers, your client base is spread across multiple countries and continents. From euros and pesos to credit cards and ACH payments, your billing platform must be designed to support a variety of currencies and payment methods. Customers are more likely to complete a purchase when given the option to pay in their preferred currency or method. When you let clients make payments on their own terms, it reduces tension and improves customer satisfaction. Your billing cycle may follow a standard format – monthly, quarterly, yearly and so on. But if the billing revolution of the past decade has proven anything, it’s that the orthodox setup of formulaic configurations is increasingly meaningless. 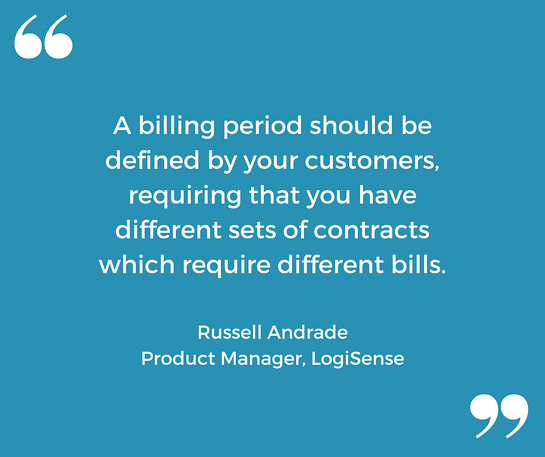 Ideally, a billing cycle should be defined by your customers, requiring that you have different sets of contracts which require different bills. Go for a billing system designed to adapt to this growing complexity. And by this, we mean automatic support of a variety of payment schedules and management of bill/invoice runs as it suit your users. If there’s any segment of usage-based pricing that’s bound to shake things up even more, it’s outcome-based pricing. It empowers service providers to structure costs based on end result and users reap from their offer, rather than the traditional pricing formula. Customers love it because it enables them to hedge their bets by justifying each transaction from a revenue perspective. It’s suitable for fostering durable relationships with clients, suppliers and other stakeholders who know your business inside and out. Do you have to retrieve documents from several sources to generate a 360 view of your customers? An effective billing system will fully automate this activity, freeing your schedule to focus on scaling your business. It should also integrate with your other business systems. This means no manual data entries when customers decide to cancel or add capacity. As soon as you sell your first subscription, you can choose payment terms and the frequency of revenue recognition (even daily recognition) that best fits your user’s needs. Manual errors and billing formats can cause serious revenue leaks that go unnoticed for years. The right billing solution will boost the accuracy of your collections so revenue will no longer pour out – not even a trickle. A modern billing system will get down to the root of the problem by making vital changes to your customers’ bill, all without having to excavate old spreadsheets and fix things by hand. In the usage-based model, changes are the name of the game. Customers may buy your service, add capacity, go on a hiatus, come back, vanish down the rabbit hole again, request a different service mix - and that’s just a few possible scenarios. You need accurate revenue estimates to succeed. With sensor technology enabling data aggregation, storage, and analysis, you can design targeted packages and value-added services on top of the device or service you’re already selling. Smart parking is a great example of this. With more sensors in parking lots, you can increase occupancy rates and time of use pricing rates. A modern billing system gives you the tools to provide any number of service combinations sought by your prospects. Then, as customers graduate to higher-priced tiers and usage increases over the lifetime of the relationship, watch your average revenue per user (ARPS) spike. Imagine being able to monetize every customer touch point. A modern billing solution can help you turn every interaction with customers – whether it’s through social media, online chat, email, support, testimonials or billing – into a profit driver or revenue moment. Once you’re able to redesign your plans to generate new targeted offers, you can accelerate user experience along every step of the communication cycle to foster a loyal customer base with scaling usage. Are you missing out on opportunities by sidestepping latent customers? Today’s billing technology gives you access to previously inaccessible markets of lower-use users by slashing high entry costs traditionally required for asset investment. Think of Amazon Web Services, which allow low usage to pay dollars a month as they need services. When you flatten entry barriers by offering your service in smaller increments, you can acquire customers more quickly. Go for a billing system that wakes up dormant customers and broadens the pool of users who can afford your services. Looking For Ways to Increase Revenue? You’ve thought it through and you’re ready for the big league. The only thing left is meeting compliance requirements such as PCI and SOC 1 and 2, among a few other standards. If you gather and store your customers’ personally identifiable information, this can cause you to lose points if you want to launch an IPO. Don’t burden an entire department with this. Get a billing system that will manage this part of compliance for you. Do you feel pressured to hire more people as your business expands? Or perhaps your finance department is struggling to keep up with your operating division? If you’re experiencing growing pains, your billing is bound to be affected. By automating your billing process, you’ll wipe out a whole range of manual functions, creating a seamless collaboration between different departments. Look for a billing system that will reduce headcount and support your growth by bringing all divisions into the process like a fine-tuned orchestra. Your billing system should improve your visibility into how customers use your products. 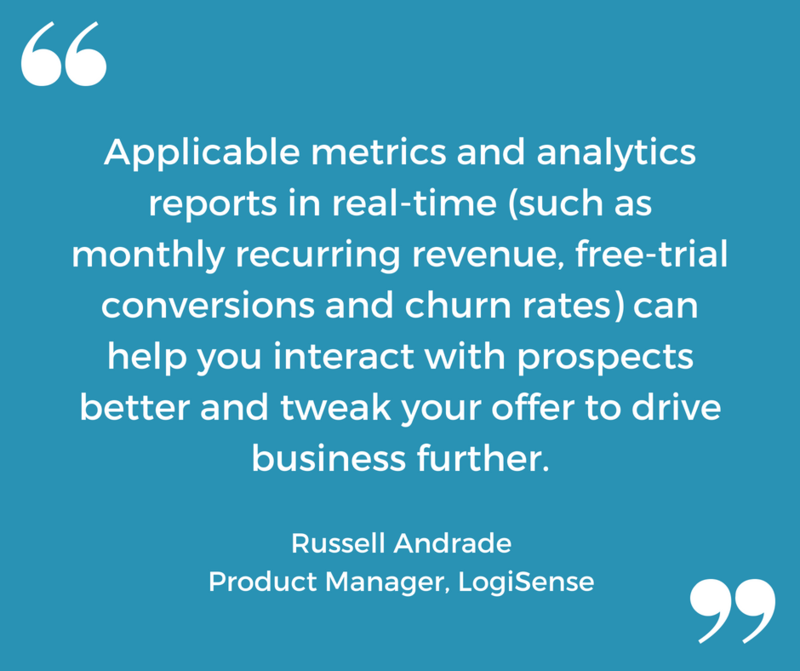 Applicable metrics and analytics reports in real-time (such as monthly recurring revenue, free-trial conversions and churn rates) can help you interact with prospects better and tweak your offer to drive business further. Being able to check user data daily or weekly means you can respond accordingly and add capacity in seconds. A good billing partner can strike an optimum balance between agility and capability – and adjust as your business scales and changes. Reacting to market demand to meet your customer requirements quickly while developing a wide scope of functionalities is delicate business: systems that compromise on agility by being bloated with functionalities, or vice versa, can have make-or-break repercussions on your revenue. Make sure you select a modern billing provider with enough proficiency to hit the right mix of innovation and dexterity. You'll know pretty quickly with how well you can navigate their tools, and how many features seem to be missing. Criteria #20: Is It User Friendly? Is your billing solution too dependent on IT intervention? Selecting software that’s flexible and easy to use will boost speed and productivity while reducing operational costs. Additionally choosing a system that integrates seemingly with your existing infrastructure can yield user benefits. For example functions such as control settings, interface management, building workflows and process scheduling should be designed for a wide scope of users. If not, you waste time and money by relying too much on IT support. Criteria #21: Does It Make Life Easier? Let’s face it, this is a big one. Designing targeted plans based on fine-grained complexity and expanding the volume of your offering is serious stuff, but it should also be a positive experience based on common goals and authentic relationships. Opening doors to prospects and disrupting new markets requires trust and dedication. While reviewing the expertise of potential vendors, think also about the values they uphold and the legacy they’re leaving behind. When you’re evaluating proposals, remember that you’re not shopping for a mere technology upgrade. You’re looking for a business partner who’ll be by your side as you lead your organization through change and drive it forward. Choose a provider with a proven understanding of your objectives and a commitment to finding real solutions to problems along the way. 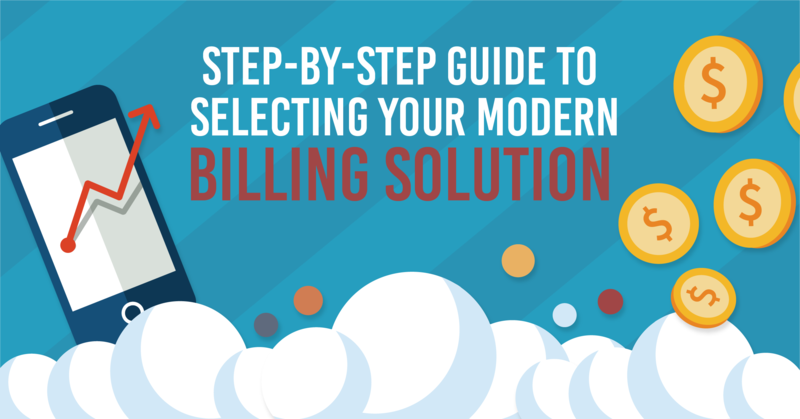 We never said selecting a modern billing system isn’t tricky business! But finding a good one is just good business. 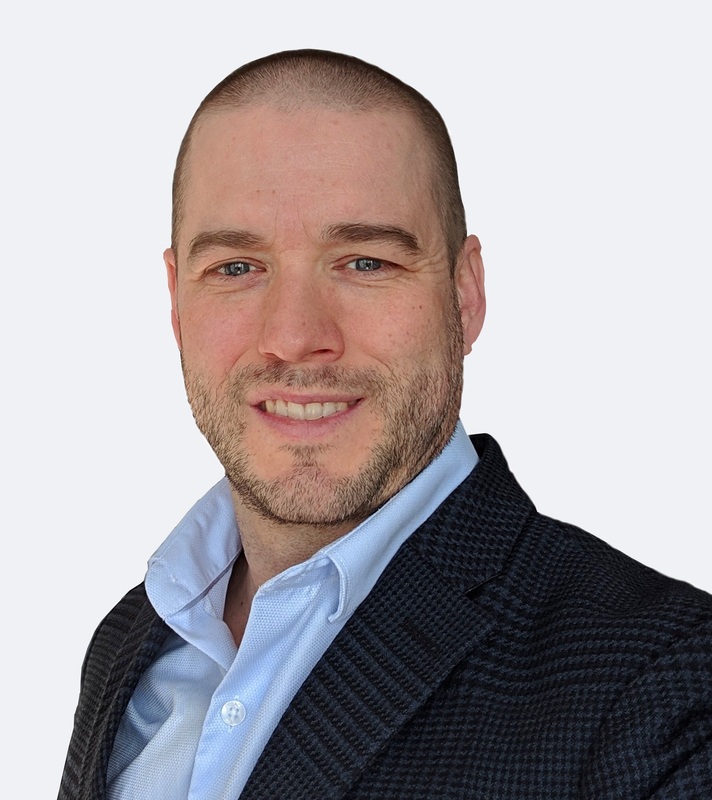 As Director of Marketing at LogiSense, Tim Neil is responsible for corporate messaging as well as Product Management shaping the vision and direction of the LogiSense Billing Software.